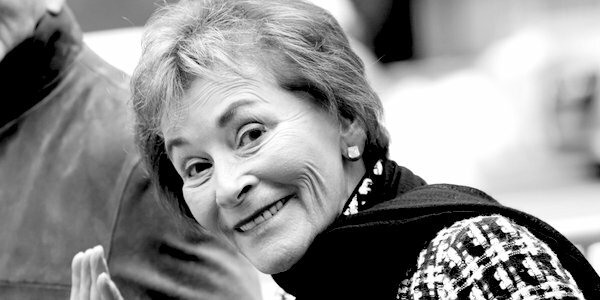 I was raised on Judge Judy, the reality TV binding-arbitration show with the super-smart Judge Judy Sheindlin, who doesn’t suffer fools easily. So I was delighted to see her address the Oxford Union in 2017. Whenever I watch Judge Judy (at my parents’ house), what strikes me is that she is an excellent judge of character. She can smell a rat from a mile. Previously she was a judge in the family courts and the dysfunction and misery she witnessed there means she is a strong advocate for personal responsibility. A mother of five as well as a successful lawyer and judge, when she was asked what it was like to be a woman in law she replied: ‘I was just a lawyer.’ Judge Sheindlin never joined any of the associations of ‘women lawyers’ or ‘women judges’ etc. Judge Judy is a big supporter of young women – not in the whiny sense of turning them all into victims by saying they are going to be harassed all the time, but the building-them-up kind. She runs a mentoring programme that trains young women, often from single-parent homes, how to excel by teaching them everything from etiquette to presentation skills. This is a really great watch if you have the time.